Hospitals and Clinics go digital. HLT Central is the ERP (Enterprise Resource Planning) 2nd generation native cloud built ad hoc for the management of any healthcare structure, public or private, projected towards the new horizons of the Digital Hospital. HLT Central overseers the digitalization of the medical and managerial activities of the healthcare centre. It guarantees a higher efficiency in service distribution with an immediate benefit to the patients and faster, high performance data sharing, consequently cutting management costs. HLT Central is a modular software, customizable to suit the needs of each specific healthcare structure. It guarantees quick customization by integrating with company processes in a quick and simple way. It is developed in MVC-3-layer technology (Model, View, Controller), free from regression, allowing easy updates, integrations and ad hoc projects with quick and secure testing phases. HLT Central allows construction for the so-called Digital Hospital, providing an incredible opportunity for the healthcare sector to significantly improve quality and safety in patient care, as well as the management and administration of healthcare structures. The Digital Hospital is responsible of reducing waste and inefficiencies, offering a better environment for both patients and staff, ensuring increased safety and health. It also decreases transcription errors and improves the availability and legibility of patient information, eliminating over 70% of the paper utilized up till now and substituting it with digital recordings that inevitably contribute to a better management of clinical knowledge, which in turn allows better investigation strategies overall increasing both patient and staff satisfaction. 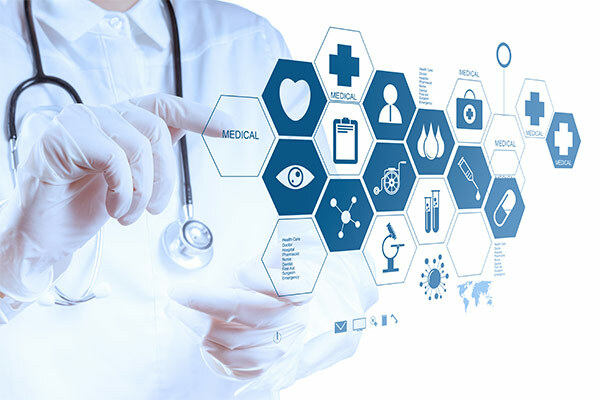 The digital hospital goes over the concept of hospital information systems, including a significant integration between information technology and medical technology, such as patient beddings, surgical apparatus, nurse call and communication systems, cell phones, wireless technology, tablet PC, pocket PC, medical imaging technology, etc. When people, systems and processes are perfectly connected, data sharing is more efficacious and brings more efficient diagnosis, treatment and management, leading to better business decisions. The Digital Hospital is not a technological adaptation but a new way of conceiving healthcare facilities projected in the third millennium. Three words: Efficiency, Saving and Quality of Performance with an immediate benefit for healthcare organizations and for patients. HLT Central does all this and so much more. HLT Central: an ERP for every need, every structure, every dimension. Choose the right version. You can integrate features or upgrade at any time with a simple click! Central for Medical Studio: The most agile version of our solution. Rationalizes and facilitates all medical practice activities, from the acceptance, the prescription of the therapy, to the management of all administrative aspects. Central for Healthcare Residences: with special features for safer and more transparent management for the benefit of operators and patients. Central for Clinics: covers all activities and processes. Offers almost instantaneous integration. An excellent option for digitalization, process control, and lower management costs. Central for Hospital: It is the most comprehensive and integrated version of the solution for complex hospital structures from the emergency room, to surgery rooms, to hospital ward, to ambulatory service. A real support for healthcare operators to concentrate on patient needs thanks to a software solution that grants efficient data sharing and decision support system. What are you waiting for? Click here to contact us for further information and demos.